Scientists at NPWRC in Jamestown, North Dakota conduct studies to learn about wildlife populations and how humans activities can impact them through pollution, habitat loss, etc. They study birds (including mallard ducks, wood ducks, and sandhill cranes), amphibians and reptiles (such as salamanders and red-bellied snakes), and invertebrates (like butterflies and moths). 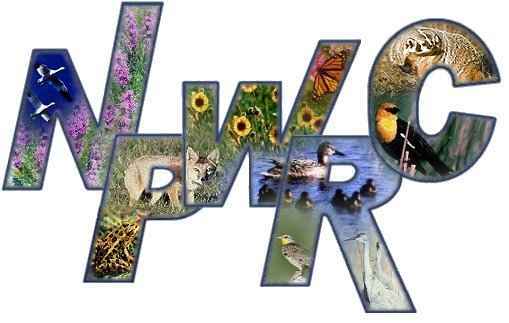 NPWRC focus on distribution and breeding patterns of these organisms, and other ecological concerns in the prairies of the United States. The NPWRC website contains a variety of resources including species identification tools, scientific papers, and distribution maps. This spring, migration data of the sandhill cranes Jess, Bugsy, Onyx, Shawn, and Tristan are provided courtesy of NPWRC. Wildlife Biologists Dr. Gary Krapu and Dave Brandt are hard at work at USGS and in the field to learn about this ancient species.